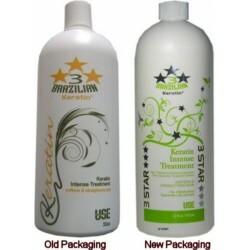 3 Star Keratin - Just Beauty Products, Inc.
3 Star Keratin There are 10 products. 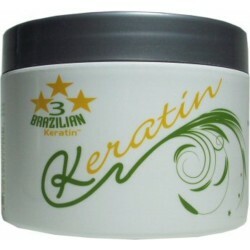 3 Start 24 Hours Keratin Smoothing Treatment nourishes and improves hair granting a silky smoothness. Removes curls and knots. Conditions hair and reduces drying time up to 50% (contains formaldehyde). Wash hair in 24 hours after Treatment. 3 Start Clarifying Shampoo Pre-Treatment. 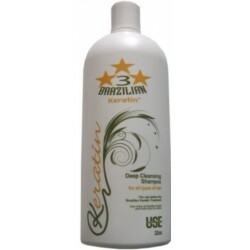 Deep clean for your hair for use before the Keratin Smoothing Treatment. 3 Star Keratin Intense Treatment Chocolate is a revolutionary defrizz treatment for all kinds of hair with 1.5% Formaldehyde and pleasant fragrance. Do not wash or wet your hair for 3 days. This sodium chloride and sulfate free Post-Treatment Shampoo is specially formulated to protect Keratin hair treatments on hair. Its used for any kind of hair, specially for those that were treated with Keratin Smoothing Treatment, leaving your hair soft and clean. 3 Start Acondicionador Post-Tratamiento con Queratina extends 3 Star Keratin Treatment and Haircolor up to 100% longer. Protects you from UV rays, leaving your hair nourished, soft, and shining. 3 Start Keratine Intense Post-Treatment Mask formulated to restore hair's vitality with special active ingredients such as creatine, Keratin, it prevents hair dryness and intensifies shine and softness of chemically straightened hair. Helps keep hair straighter and smoother for a longer time. 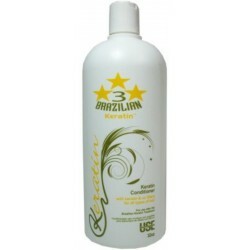 3 Star Leave-In Post-Treatment Conditioner with Keratin. 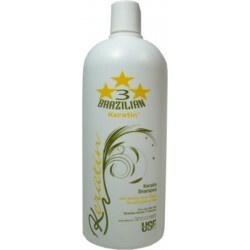 Protects you from UV rays and specially before the use of Iron giving shine to your hair. Extends Smoothing Keratin Treatment up to 4 months. 3 Star Keratin Smoothing Treatment BKT Option, innovative treatment to straight all type of hair, this formula has very low molecular weight, with zero formaldehyde. You will not feel any odor or irritation on your eyes, this treatment last from 1 to 2 and half months. Three Star Keratin Split Ends Repair UV Filters 2 oz. 3 Star Keratin Split Ends Repair UV Filters, It is a serum with pleasant fragrance that promotes the sealing of dry split ends. 3 Star Serum Split Ends Repair UV Filters, It is a serum with pleasant fragrance that promotes the sealing of dry split ends rejuvenating and restoring moisture to dry & damaged ends while also preventing new split ends and giving the expected shine to the hair.